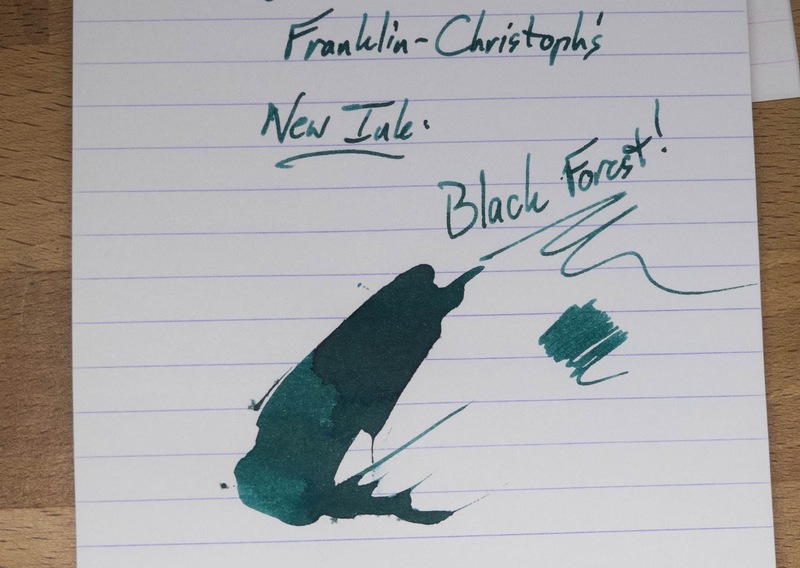 Franklin-Christoph's Black Forest *New* | Inkdependence! 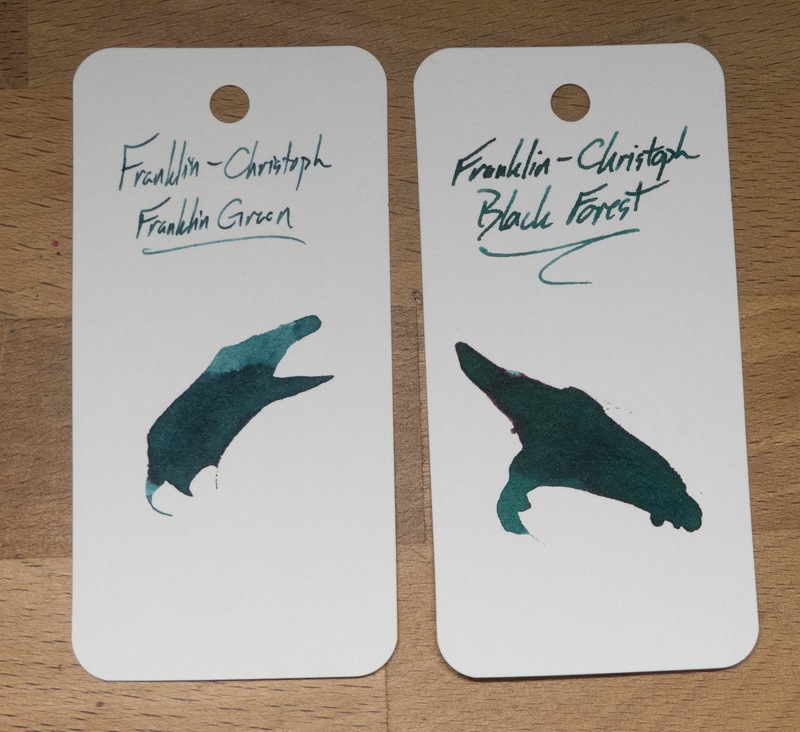 Thanks go to Franklin-Christoph for providing the ink for review. 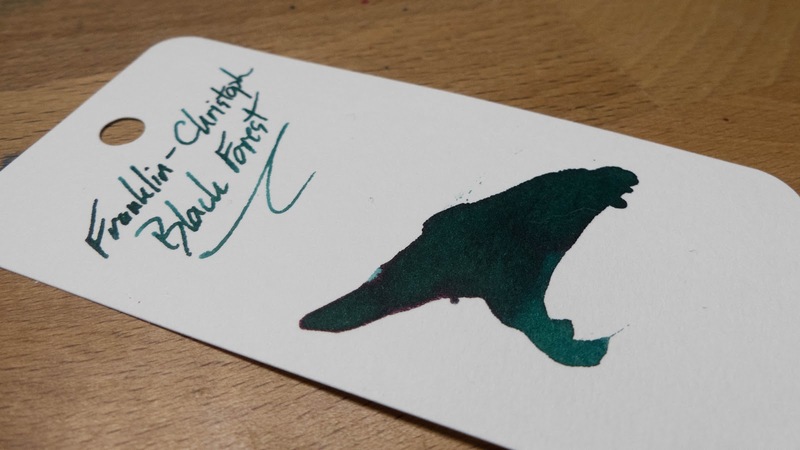 Been lookin' for a new lush, dark green ink to try out? 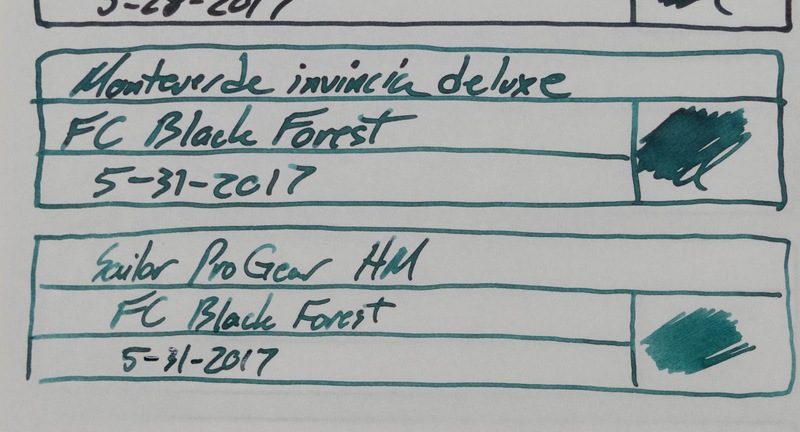 Welcome to the Black Forest! 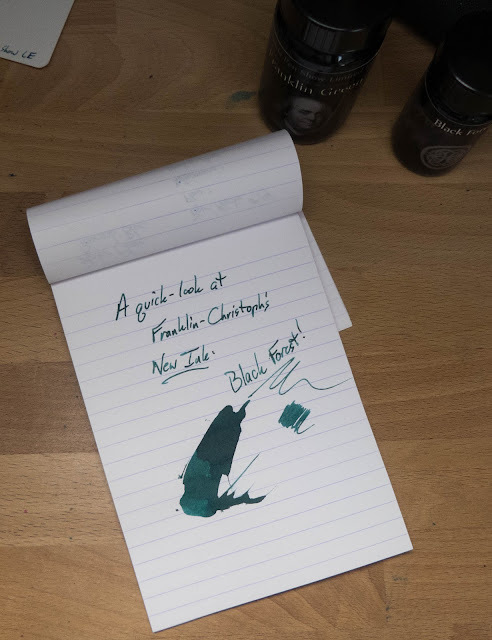 This is Franklin-Christoph's newest ink, launching for the Triangle Pen Show, and available soon on the Franklin-Christoph website. 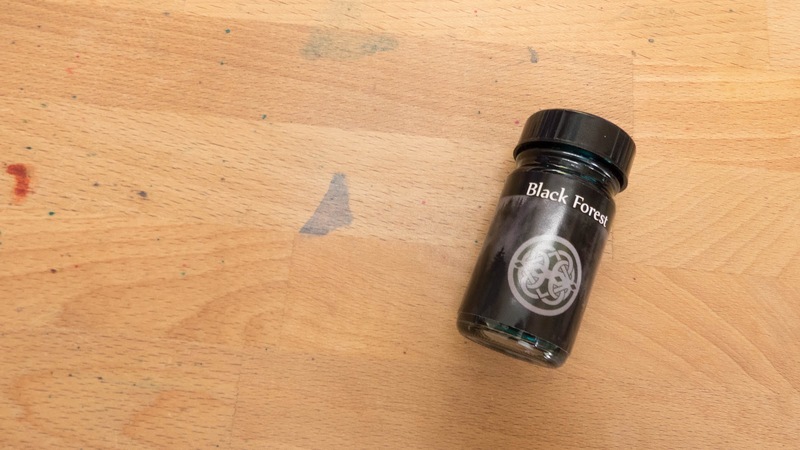 For now, it's only available in 1oz bottles (for $8.25). 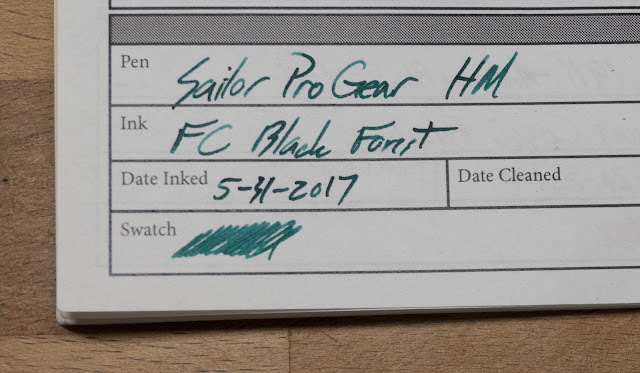 I've only had this ink for about a day, and it's already been a hit with some of my non-fountain pen friends at trivia night. 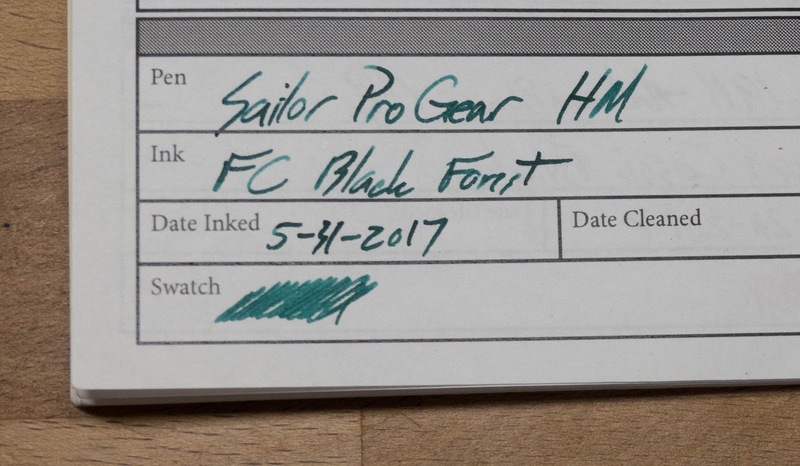 Scroll through to check out this new ink and to see which rare ink it's close to. Also! 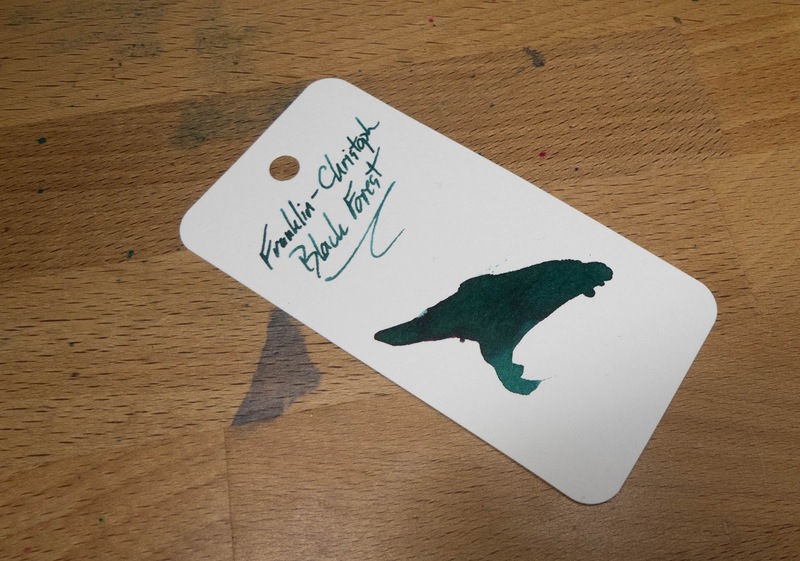 Check out the video at the bottom of the post for a quick look at the ink. 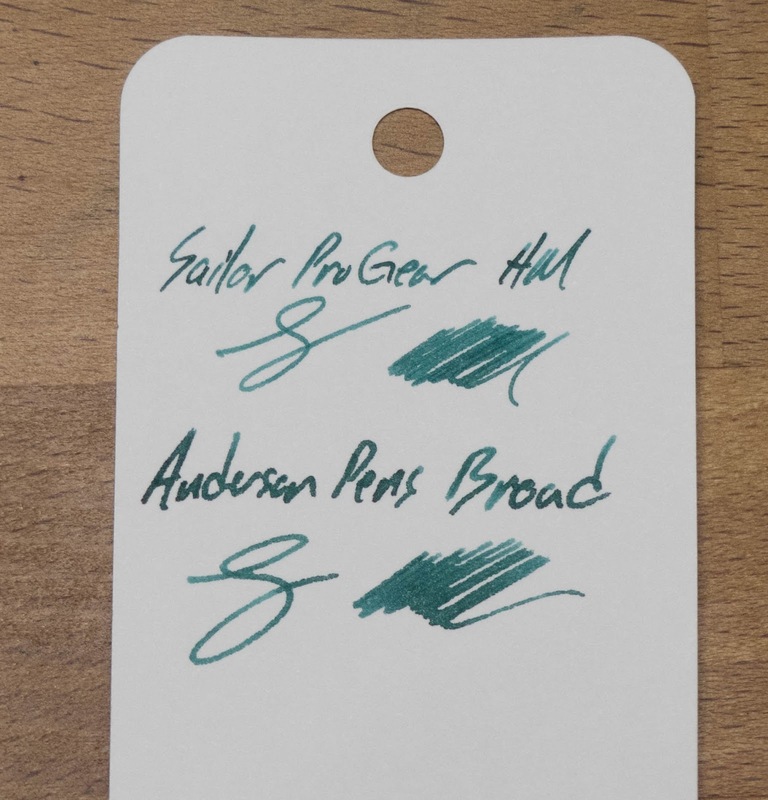 Lots of people have wanted to get ahold of the ink on the left (below). 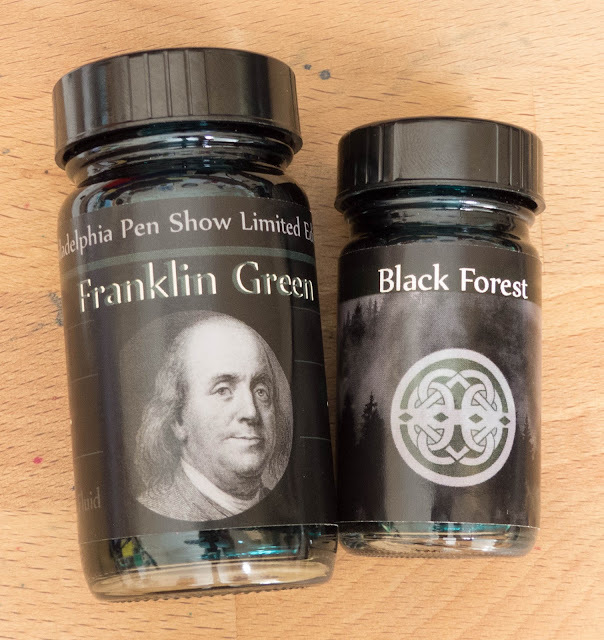 It was only available at (or around) the Philly Pen Show in 2016, and so lots of people missed it. Black forest isn't an exact match, but it's fairly close. I think it's a bit better than Franklin Green, as the Black Forest is darker and more vivid in its green-ness. You'll see them compared below. The cards below are both from a Col-o-ring Book. 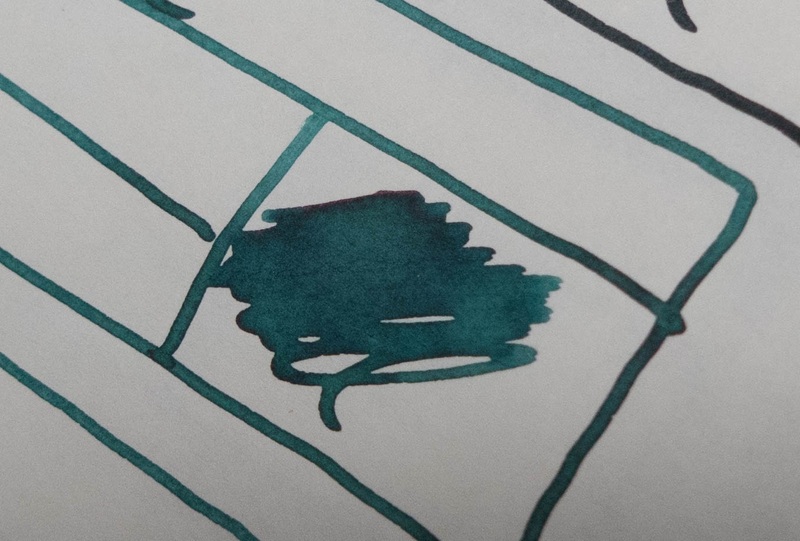 Yes, that's a little sheen that you're seeing here. 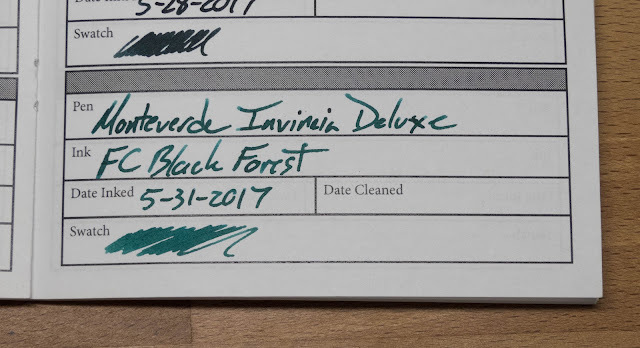 I haven't seen it on regular papers, but Tomoe River is really good at bringing these things out.